Jack’s Summer Solstice Sale! Dark Art Pendants Only $8 Shipped! 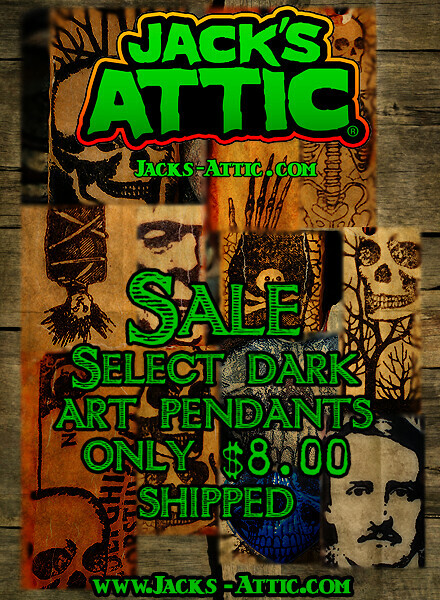 Check out our Artfire Studio for a selection of dark art pendants available for only $8 shipped! Look for the items marked with the orange “SALE” banners.